The winner of the first prize is American binder Lang Ingalls of Colorado. That’s her binding on the cover on the catalog. 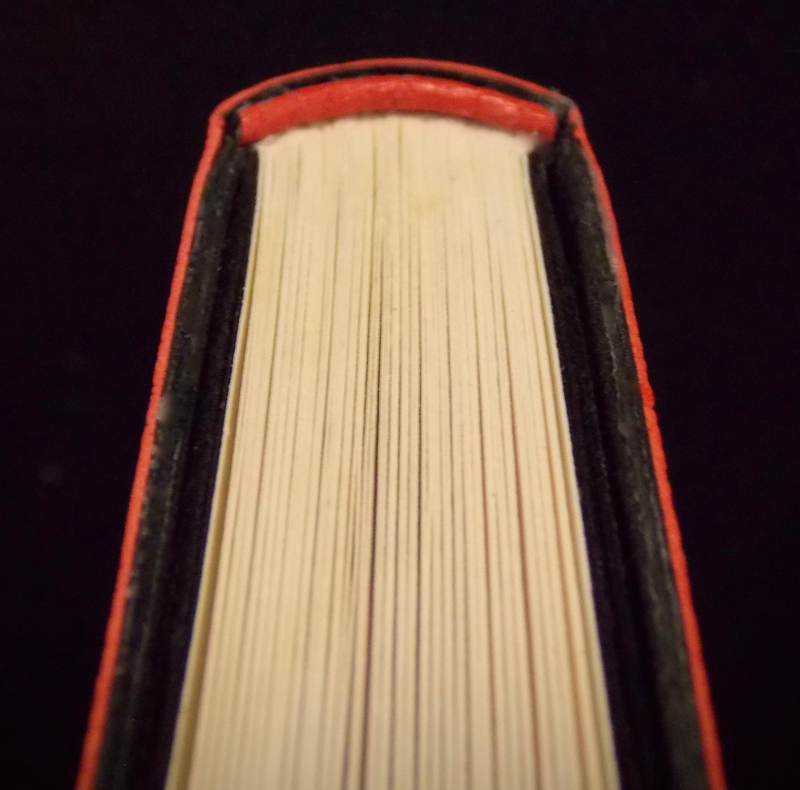 Below is the catalog page dedicated to her binding. I’ve mentioned Lang often over the years, but I’ve barely scratched the surface of her bookbinding-related activities. 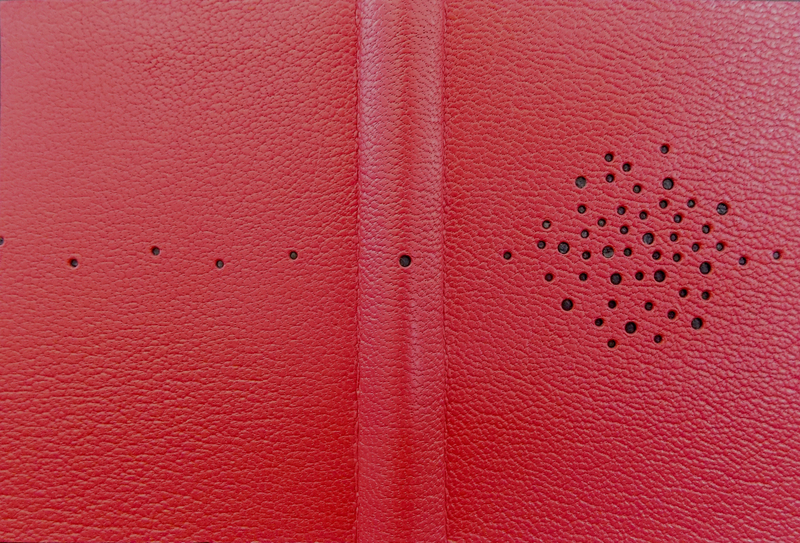 Lang began studying fine bookbinding years ago, taking private instruction with Eleanore Ramsey (San Francisco). Deep interest drove her to seek further instruction at Centro del bel Libro (Ascona, Switzerland), where she studied with Edwin Heim. While there, Lang met Cathy Adelman, a graduate of the American Academy of Bookbinding (Telluride, CO), who suggested she attend; Lang enrolled. 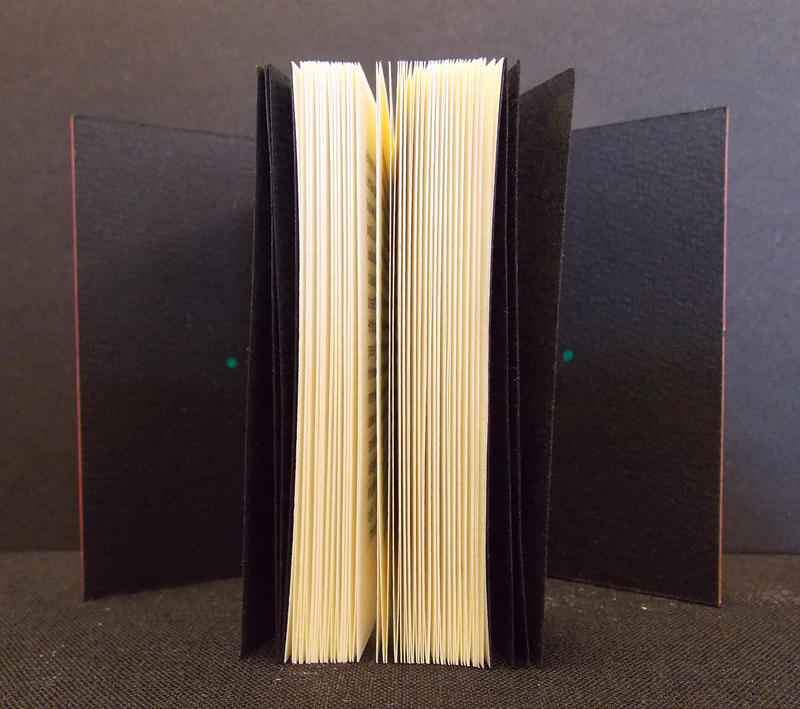 Lang graduated from the American Academy of Bookbinding in 2007 with a degree in Fine Binding. She studied under both Tini Muira and Monique Lallier. She has also studied with many other teachers at AAB — notably Don Glaister, Hélène Jolis and Gabrielle Fox — to further hone her skills. More recently, Lang has explored new structures and approaches to design and techniques through her studies with Ana Ruiz Larrea in Paris. She presently works out of her atelier in Crested Butte, Colorado, making fine bindings year-round. In 2016, Lang was invited to join the board of the Ahhaa School of the Arts, the umbrella organization of the American Academy of Bookbinding. She also sits on the board of the Guild of Book Workers, acting as Newsletter Editor for their national print publication. 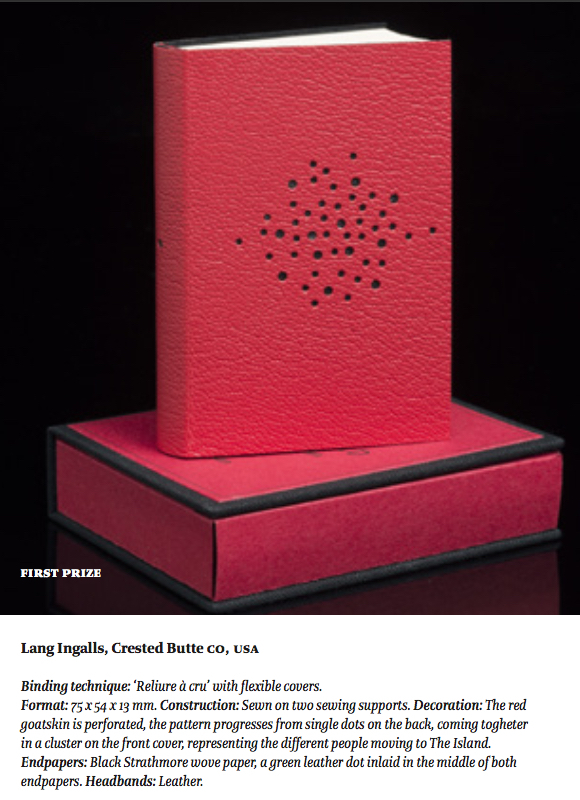 Over the last several years, Lang has been deeply involved with the new triennial bookbinding competition ‘Open Set’ (see the full catalog). Bringing the longstanding dream of an new international competition run out of the United States to reality was a massive effort by the American Academy of Bookbinding. Lang is very modest about her role, but I personally think that Open Set could not have happened without her unflagging energy, enthusiasm, and powers of organization. Once launched in 2015, Lang served as the Open Set Exhibition Coordinator, arranging for venues, personally overseeing installation, and giving tours at each location on the recently concluded (yesterday) eight city tour of the exhibition. Recently, Lang was invited to serve as a juror for the Canadian competition ‘The Art of the Book 2018‘, something I am really looking forward to. These efforts are an extension of Lang’s interest in bringing a larger audience to the binding field. Lang is a member of several international binding groups (ARA Canada, ARA France, ARA Belgica, Society of Bookbinders, Designer Bookbinders, Miniature Book Society) and celebrates with the members of these groups the stimulating and textural aspects of creating a fine binding — with discussion of technique and terminology, and with laughter. Her work is exhibited regularly in the US and abroad, and can be found in public and private collections in the US. I look forward to seeing many more of Lang’s bindings and the fruits of her other labors in the field of bookbinding in the future. Lang was kind enough to send me a handful of images of her prize-winning binding to supplement the two I have reproduced above from the Xtra small exhibition catalog.